The club will be running a bus to this game. The bus times have still to be finalised. 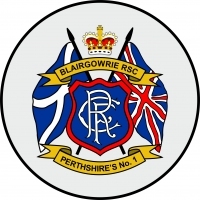 It is expected that the bus will leave slightly later than normal, as a number of our members will be attending the Remembrance Sunday Parade in Blairgowrie. However we will still be in Glasgow in plenty of time for a small refreshment before the game. To book your seat on the bus please call or text Rory on 07803 561 941. Bus times will be published once they are finalised.